Self-organized criticality (SOC) is a measure to identify if complex systems have the potential to build out emergent behavior. This phenomenon is known in many different areas of physics, biology, ecology, economy and social systems. Its core assertion is that an over critical energy input can lead to spontaneous, self-enforcing and unpredictable self-organization. In such a process new structures and orders emerge. “Online Crowds” are masses of internet users who behave and act collectively on the web. They tend to follow specific online trends and can generate tremendous online traffic and attention (cp. Social software like YouTube.com, MySpace.com, Friendster.com, etc.). “Online Crowds” are observed rarely, are hard to predict and even harder to generate artificially. So it is essential for online business ideas to foster and facilitate these “Online Crowds” to reach a critical mass of online users to grow continuously and to produce profit. 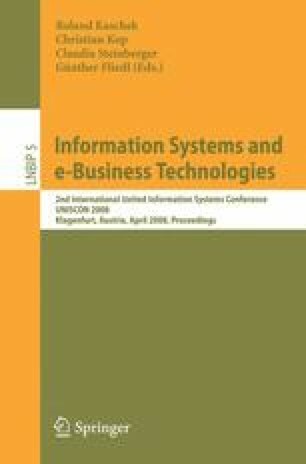 The paper in hand introduces the “Online Crowds” model (OCM) in context of web information systems employing the concepts of self organization theory and self organization criticality. Furthermore a statistical approach for detection of indicators of self organized criticality is presented along with experiments and preliminary results showing the applicability of the approach.